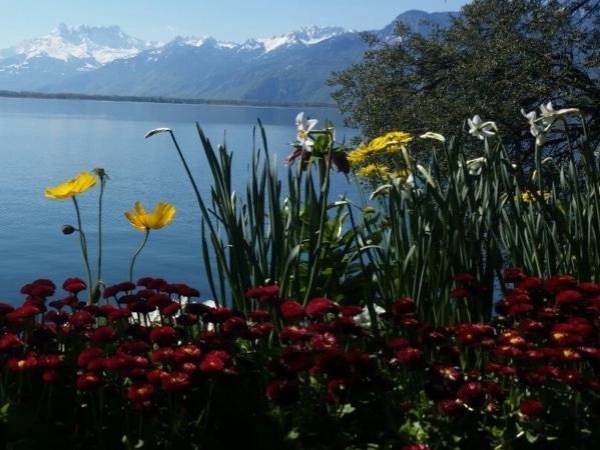 Traveler Review for Private Tour in Montreux, Switzerland by Tour Guide Clare K.
About Clare K. Message Clare K.
We absolutely LOVED Clare. She was one of the best guides we have had on our many travels around the world. She toured us around Montreux for 4 hours one day and then spent another day taking us to Gruyere, a wine tasting, the charming town of Vevery, and the Cailler chocolate factory. She planned the entire day for us and did an amazing job. You must contact Clare if you go to Switzerland. She is the best. We will definitely contact her again when we travel back to Switzerland. TOUR GUIDE RESPONSE: Dear Janis, Thank you so much for your lovely review. It was such a pleasure to meet you and show you our beautiful region. I hope to see you again when you next return. Best wishes, Clare.